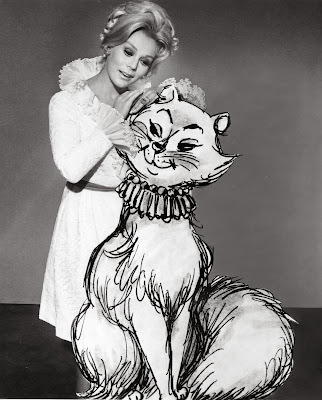 Actress Eva Gabor poses with an enlarged Ken Anderson sketch of Duchess, the female lead in the film The Aristocats. Gabor voiced Duchess with her distinct Hungarian accent. 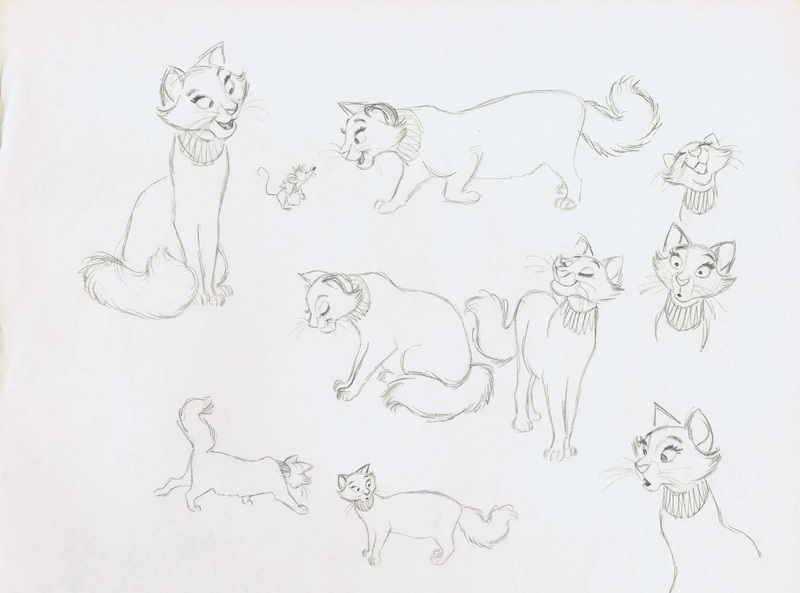 She would later return to the studio to play Miss Bianca in The Rescuers and The Rescuers Down Under. 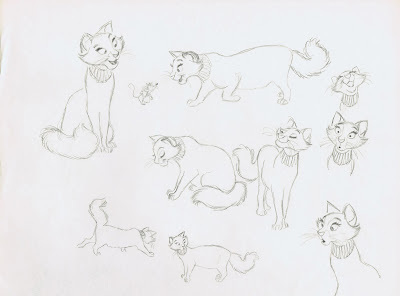 Duchess was animated by quite a few artists, I would say that Ollie Johnston did some of the nicest scenes, educating the kittens etc.. Frank Thomas came up with good acting scenes as well, when Duchess meets O'Malley for the first time, and when she says goodbye to him at the end of the movie. 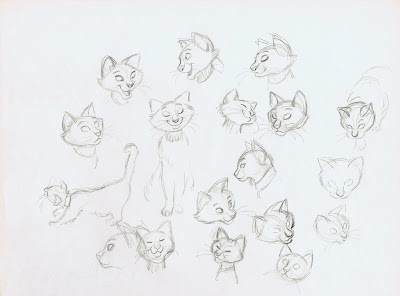 Milt Kahl set her basic design based on Ken Anderson's drawings. Below are a couple of beautiful exploratory sheets by Milt. As always it's great to see his mind at work in these drawings, he is trying hard to avoid formulas and to find unique arrangements of shapes that bring out her personality. 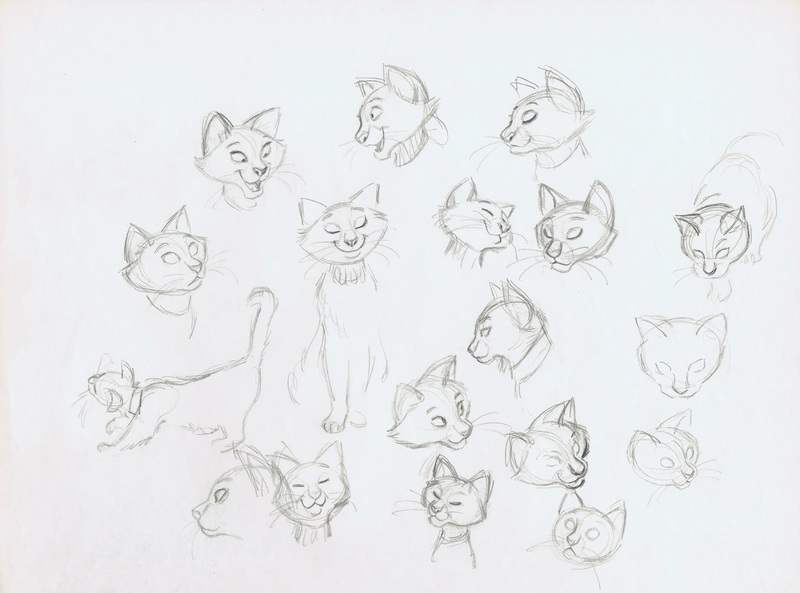 There is so much knowledge of feline anatomy here, after all, Milt had just finished animation on Shere Khan and Bagheera.